Fes is the cultural heart and spiritual soul of Morocco. 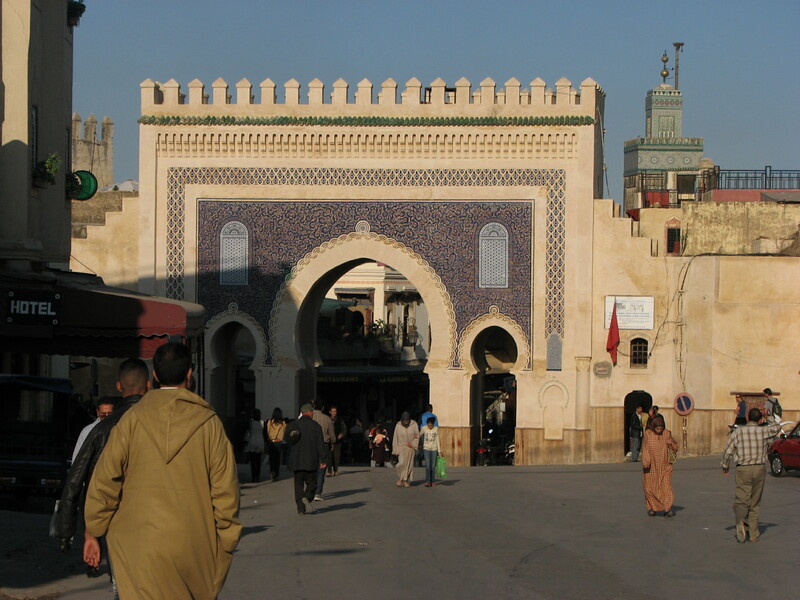 The Medina of Fes is a UNESCO world heritage site. This first imperial city of Morocco is alluring and apt for the culturally aware. You will find yourself weaving through an ancient walled Medina that’s been in existence since the 9th century. 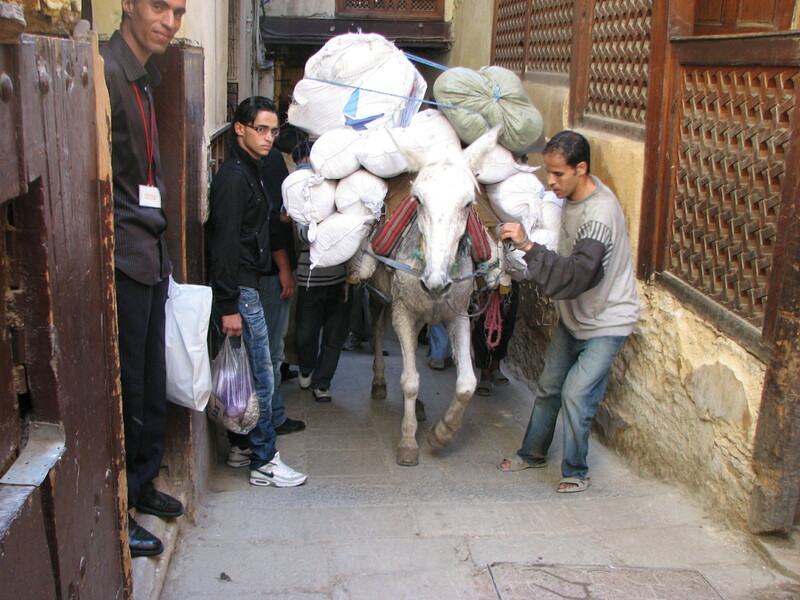 As you pass palatial riads with heavy ornate doors, you will find yourself competing for space as mule carts are the only ‘vehicle’ allowed. Fes is a blend of old and new, as you will see traditional djellaba wear and modern fashion. In Fes there are many sights to visit, which include the Maraouine Mosque, the magnificient palaces of Fes el-Bali, the famous tannery, the Mellah and the souks that are alive with vendors and the scent of spices; the Borj-Nord museum of weaponry and the Nejjarine Fountain. Meknes is approximately 60 minutes from Fes and is smaller and quieter in comparison to Fes. Meknes is famous for its decorative gate Bab el Mansour and the Mausoleum of Moulay Ismail who was the ruler of Morocco in the 17th century. Read more at Day Trip to Meknes. Volubilis is about 90 minutes drive from Fes and it is a short distance north of Meknes. Volubilis is the best preserved and largest Roman ruins site in Morocco. Volubilis is preserved as a UNESCO World Heritage site. Moulay Idriss is a short distance from Volubilis and is an important spiritual site that is at the foothills of the Rif Mountains. There is a natural spring spa called Moulay Yacoub and it is reputed to cure rheumatism and works natural wonders in detoxing and de-stressing your body.. The Middle Atlas Mountains is to the south and there you can visit Sefrou, Ifrane and Azrou. During the month of June, Sefrou host the cherry harvest. Ifrane is a beautiful area with a fresh alpine scent from the cedar forests. Morocco Why Not will be your guide and host as you make visit these wonderful and exciting towns of Morocco. Reblogged this on Morocco Why Not Travel and Tours.